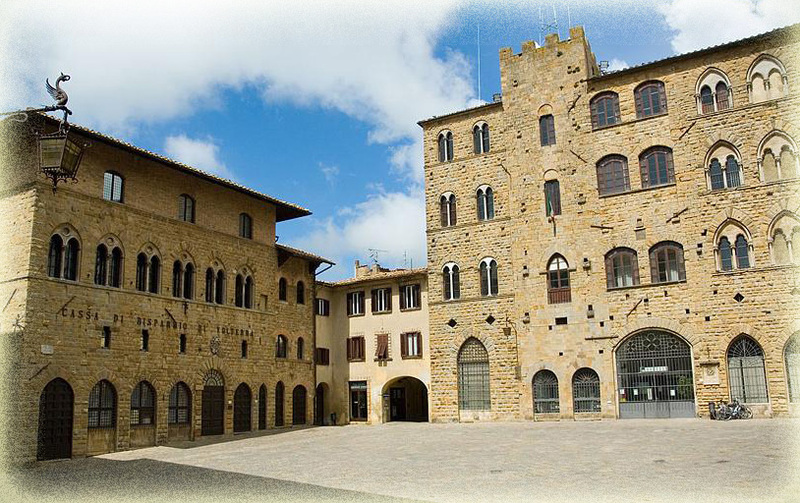 With our driver you’ll reach first the beautiful San Gimignano with its splendid skyline made up of 13 towers. This 11th century town rises 334 meters above the Elsa Valley along the ancient “Via Francigena” on which traders and pilgrims going to Rome traveled. San Gimignano prospered considerably during this period thanks to this route and all the inns that were built along its way to accommodate the pilgrims but as in all of Italy, the Black Plague of 1348 greatly reduced the population of San Gimignano and led the city into a grave economical depression and caused the town to submit to Florence’s rule in 1353. Later on in the centuries though, San Gimignano rediscovered its cultural importance and beauty together with its agriculture and eventually overcame its decline becoming the beautifully restored town it is today. Time for visits part with our driver and part by your own. After a stop of about two hours move to the charming town of Volterra, a place where you can experience millenniums of history, art, archaeology and culture from the Etruscans to the Romans, from the Middle Ages to Renaissance simply strolling through its narrow streets, unique squares, winning artisan shops and charming landscapes. Free time by your own for stroll and browse in the shops for alabaster, which has been mined in Volterra since Etruscan times..! ..If you want is possible to add to the tour a stop for lunch at a Pecorino cheese factory. Inform our booking office!